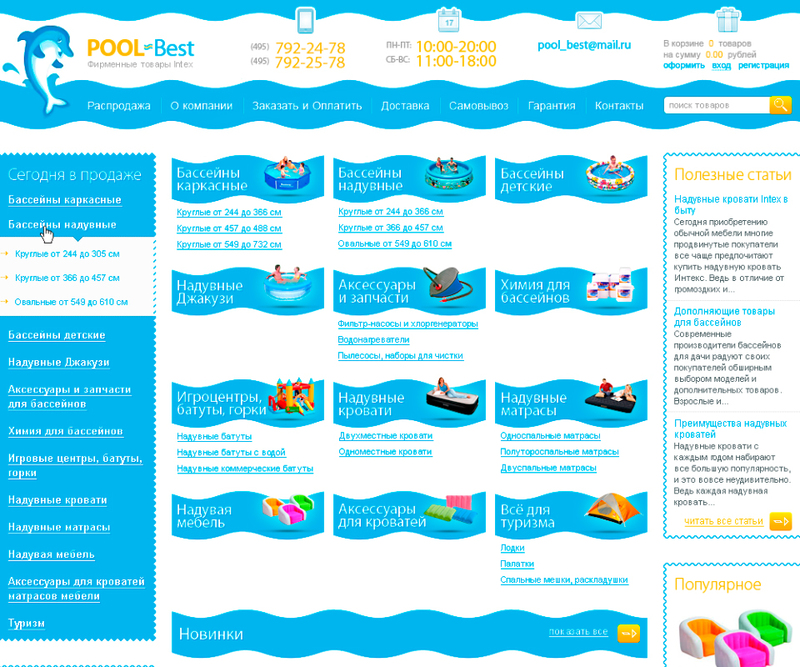 In the online store «Pool Best» you can purchase provided in a large range of products for garden and home, frame pools, inflatable pools, children’s play center, trampolines and all the necessary accessories for them at the lowest price. All variety of products are displayed in our studio web design. Icon for each section, the blue color of the pool water, easy navigation for online store and convenient placement for information. With our design is easy to buy and to sell!